What does it mean to dream about a frog or have a frog as a spirit animal? Learning about the message and wisdom of the frog can help support you through the daily challenges in life. What Does it Mean to Dream About a Frog? Dreaming of a frog can have several meanings. If you dream of holding a frog in your hands you have a strong desire for a wish to come true. If you dream of a frog in water this suggests that you are dealing with an emotionally challenging situation but that you have the confidence to successfully navigate your way through it and come out alright. 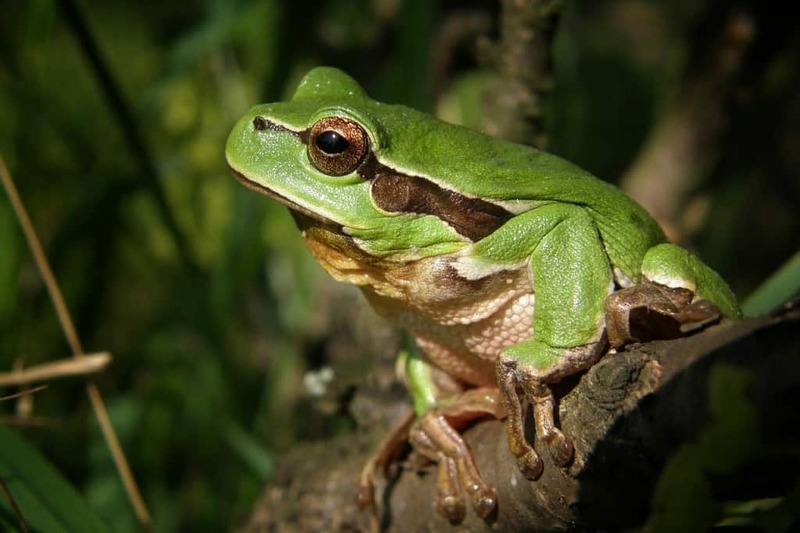 If you hear frogs croaking in your dream this could serve as a “wake-up call” and may indicate that your spirituality is lacking in some way and needs more attention. As a spirit animal, frogs give us a lot of wisdom. You may dream about a frog or identify a frog as a spirit animal or power animal when you need some additional support and wisdom in your current life. Frogs are often messengers who want us to think about communication. Frogs are well-known for their classic "ribbit", croaking, chirping and the other sounds they make. If you dream about a frog, it could mean that you need to think about effective ways of communicating your thoughts and ideas to others. You may also find that frogs appear in your life when you are feeling out of connection with the world around you. Frogs remind us to always be aware of our surroundings. If you dream about a frog, it is helpful to pay attention to the other details of the dream. Understanding the symbolism of water in dreams can help you identify potential emotions coming to the surface. Frogs are typically green when we think of them, but many other colors are possible also! If you remember any vivid colors in the dream, understanding the meaning of colors can be helpful in understanding more about the meaning of the dream.